Welcome to the Saugeen Shores Skating Club! 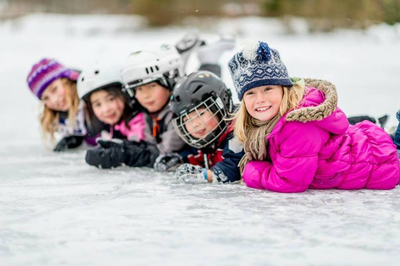 Whether you want to learn to skate just for the fun of it, stay fit, master the skating fundamentals for your hockey career or to reach your dreams of a competitive skater, we offer programs for all levels of skating. Skate Canada's flagship program. For decades Canskate has been teaching the best skaters in Canada how to skate. Skills are taught in a progressive manner in a group lesson format by our Nationally Certified Coaches and Program Assistants. Once our athletes make it through the slippery side of the sport they are ready for more.... Our Pre-star program offers group lessons focusing more on strength, speed, edges & turns which are crucial for hockey players, and skaters alike. We will also introduce some basic jumps and spins for those wanting to continue to STARSkate. 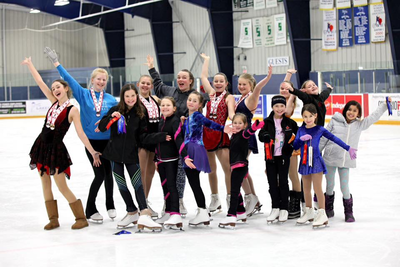 Offers skaters of all ages the opportunity to continue from the Pre-Star program to develop more advanced elements of ice skating. 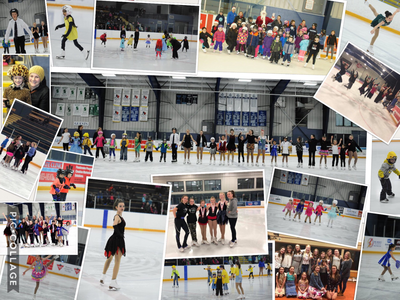 STARSkate members train in the areas of ice dance, skating skills, freeskate and interpretive skating and progress through standardized test evaluations by certified Skate Canada judges. Come join your fellow skaters in our off/on ice boot camp! Skaters will spend 45 minutes on ice doing focussed jumping, spinning and stroking drills. Skaters will then spend 30 minutes in off ice/dry land training. Don’t ,it’s this chance to build your agility, balance and strength on and off the ice.